ProMMAnow.com’s Gary Thomas caught up with Xtreme Fighting Championships lightweight Scott “Hot Sauce” Holtzman following his first round TKO victory over Matt Metts, of Lexington, Ky., at “XFC 18: Music City Mayhem” in Nashville over the weekend. ProMMAnow.com is live and on the scene for the “XFC 18: Music City Mayhem” weigh-ins. The main event features a match-up between UFC veteran John Salter and the resilient Reggie Pena. Xtreme Fighting Championships Founder and CEO John Prisco and XFC lightweight Scott Holtzman join us tonight to discuss “XFC 18: Music City Mayhem” which takes place June 22 in Nashville, Tenn., and airs LIVE on HDNet. Get an inside look at some of Matt Metts’s strength and conditioning training as he preps for his upcoming fight against Scott Holtzman at XFC 18 – Music City Mayhem, in Nashville, TN. 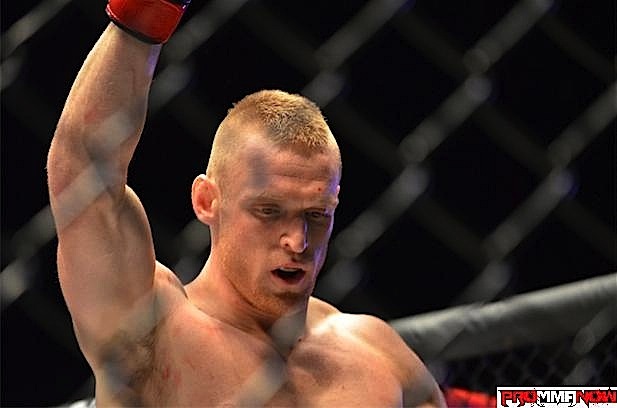 Follow along with professional fighter Matt Metts as he prepares for his upcoming fight vs Scott Holtzman at XFC 18 – Music City Mayhem, which will be shown live on HDNet. 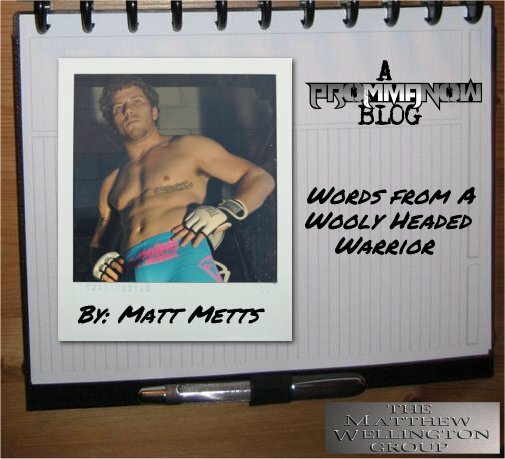 Follow along with Matt Metts as he prepares for his upcoming fight vs Scott Holtzman at XFC 18 – Music City Mayhem. As I approach being six weeks away from my fight, I have to say my body feels pretty good. It is easy to get caught up in your training camp and over train or over work your body. I feel like I have done a good job getting plenty of rest and allowing my body and muscles to repair. ProMMAnow.com’s Brian Furby puts the Wrap Wrench to the test. The Wrap Wrench is designed to cut down on the time and hassle of having to roll up hand wraps that are used by MMA fighters and boxers.